The Peppy Puree is the only Infantino blender we have on file. Infantino has created a simple blender for infants: Mostly focusing on safety with its Phthalate, BPA, and PVC-free components. 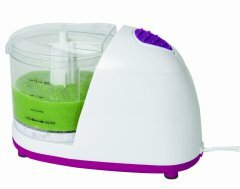 Typical of most baby food blenders, it also has an over-all child-friendly design instead of the conventional upright style. 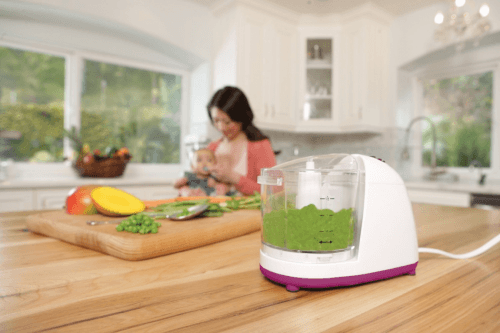 The Peppy Puree can make up to five cups of baby food using its pulse preset. Also known as: Infantino Fresh Squeezed Peppy Puree.